Have you ever wondered how does the electronic gadgets we use in our daily life works? Almost all the electronic gadgets we come across in our daily lives are various types of embedded systems. Be it a digital camera or a mobile phone or a washing machine, all of them has some kind of processor functioning inside it. Combination of several processors is the embedded software. If hardware forms the body of an embedded system, embedded processor acts as the brain, and embedded software forms its soul. 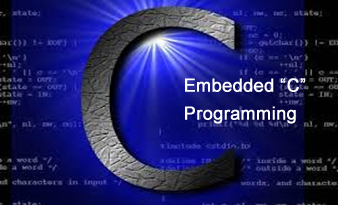 It is the embedded software which primarily governs the functioning of embedded systems. C was developed by Kernighan and Ritchie to fit into the space of 8K and to write (portable) operating systems. Originally it was implemented on UNIX operating systems. As it was intended for operating systems development, it can manipulate memory addresses. Also, it allowed programmers to write very compact codes. This has given it the reputation as the language of choice for hackers too. Components used in embedded system and PCs are different; embedded systems typically uses smaller, less power consuming components. Embedded systems are more tied to the hardware. Unlike assembly, C has advantage of processor-independence and is not specific to any particular microprocessor/ microcontroller or any system. This makes it convenient for a user to develop programs that can run on most of the systems. What is the Difference between C & Embedded C?